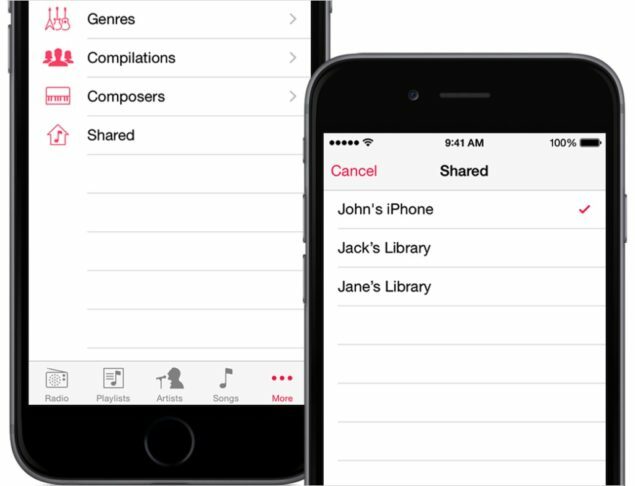 iOS 8.4 release had one major purpose, launching the Apple Music. With that purpose fulfilled, a feature holding immense important has been removed from the system. That is Apple’s Home Sharing support for Music in iOS devices. This is an important aspect of the complete Home Sharing platform and music is one of the most important aspects people use Home Sharing for. Nonetheless, the feature has been removed from iOS 8.4. However, it was expected that the Home Sharing For Music will be reintroduced in the near future and judging by the news, it seems pretty legit. The news came from a Twitter post where Eddy Cue, the iTunes Cheif was questioned about the incarnation of Home Sharing for music in the iOS department. The news was confirmed as Eddy replied about the feature to be available again in iOS 9. Lets head down to some more details. Its not the Home Sharing for Music that’s absent but the Genius Mix is also absent currently. The twp absent features goes down to the release notes for iOS 8.4 beta where Apple has clearly notified users about the non-availability of the features. It seems Apple already had the notion to include in the later versions of iOS, in this case, iOS 9 which s to be launched later this fall. The Home Sharing For Music has been disabled for a while but it sure does work with Videos. All other devices that are not running the iOS 8.4 have access to Home Sharing for Music like Apple TV and Mac. Even though Apple’s plan to introduce the feature in iOS 9 are straight, we still have no clue as of what beta might Apple choose to put it in. So it remains to be seen if Apple will introduce Home Sharing for Music in the next beta which is anticipated to arrive next week with improvements and more. Apple has been real helpful in coordinating with the general public about issues concerning either the Apple Music or Home Sharing for Music. It’s good to see support from the tech giant to resolve issues. This is it for now, folks. Make sure you share your views in the comments section below.